The C.A.M.P. 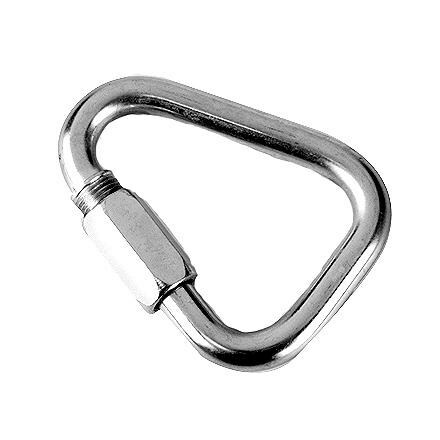 Atlas 3Lock Carabiner is a carabiner with an automatic triple-action twist lock closure for maximum security. The new Atlas is notable for its superior strength-which approaches the strength of some steel carabiners, but at a fraction of the weight-and its oversized design which makes rigging easy, even while wearing gloves. 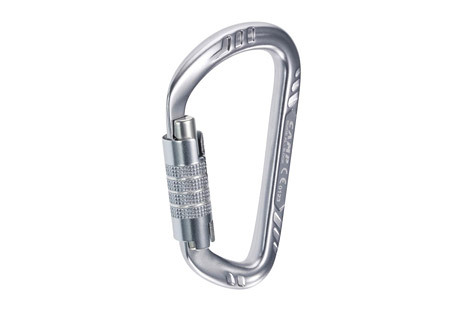 This combination of strength and ease of use makes it an ideal carabiner for search and rescue applications. 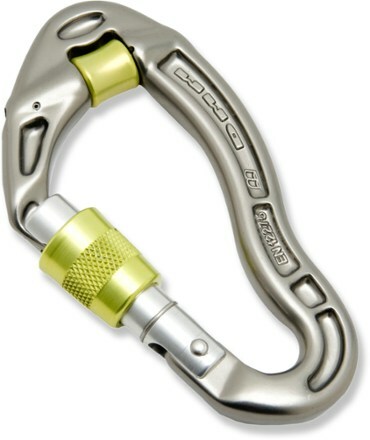 We recommend the 3Lock system if you intend to use an auto-locker as your general belay biner. CLOSEOUTS . 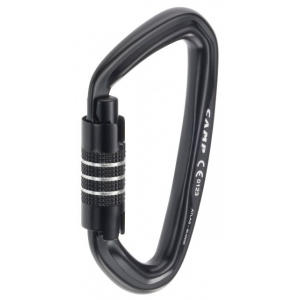 Made of heavy-duty, super-strong aluminum with a three-action lock, C.A.M.P.and#39;s Atlas 3 Locking carabiner offers maximum security and has the strength of a steel carabiner at a fraction of the weight. Available Colors: SEE PHOTO. 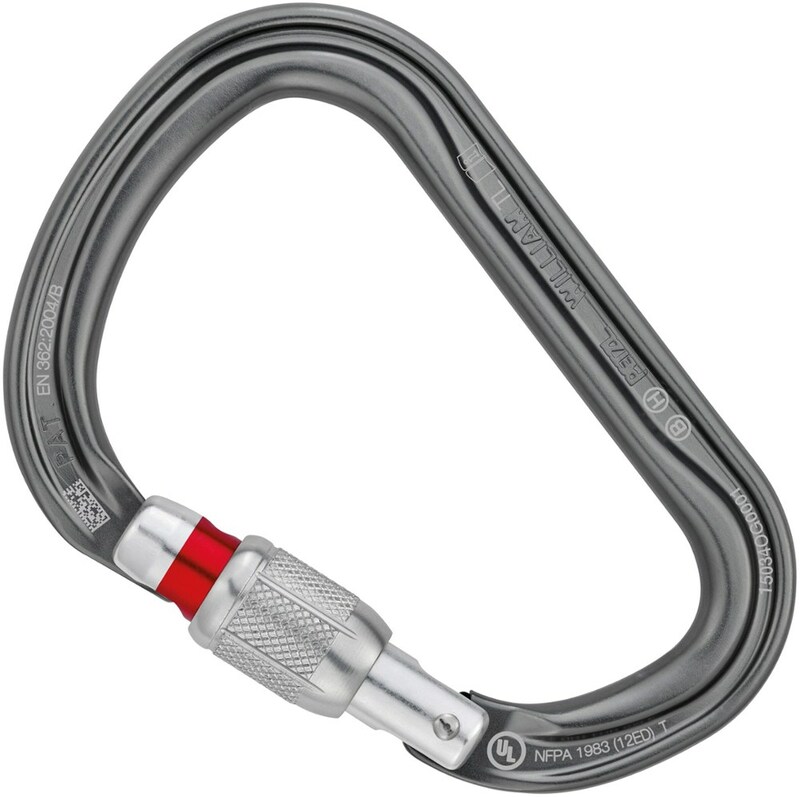 The new-for-2013 Camp Atlas 3Lock Carabiner is notable for its superior strength and minimal weight. 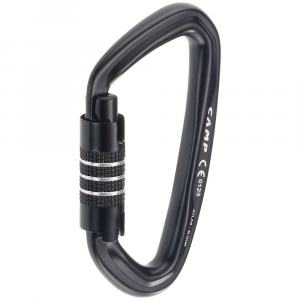 The automatic triple-action twist lock provides maximum security, making it a great biner for search and rescue.. . . Amazingly strong aluminum carabiner approaches the strength of some steel carabiners, but at a fraction of the weight. Auto-Lock requires three actions to open-slide, twist, and pull. Easy to operate with one hand, even when wearing gloves. Large gate opening (23mm) and keylock nose allow for easy clipping. Ideal for search and rescue applications. 3Lock system is recommended if you intend to use an auto-locker for belaying.